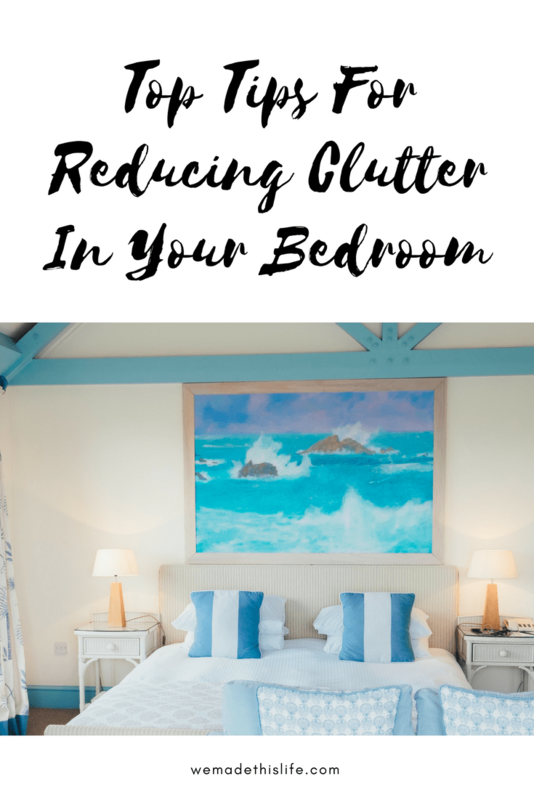 The 20th March is marked as the first day of Spring and I’ve teamed up with Bed Guru to share with you some top tips on how to spring clean and declutter your bedroom. I can’t cope with bedrooms that are a mess. My bedroom has to be a space that I can relax and unwind in, and to do that it has to be uncluttered! I always try to update the rooms in our house according to season and spring is one of my favourite seasons. I try to update the cushions and accessories to brighten it up for the coming spring and summer and have a big spring clean and organise. 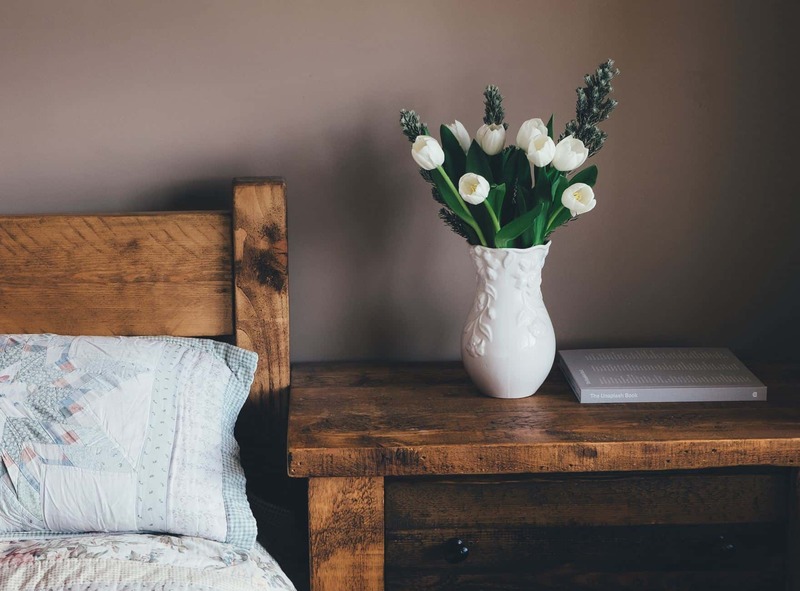 Here are my top tips for decluttering your bedroom. 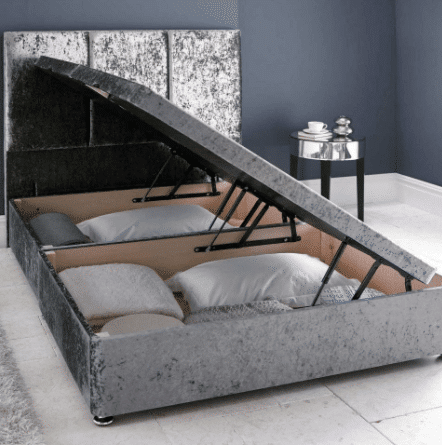 A divan bed can come with drawers or hidden storage. Bed Guru has a wide range wide range of divan beds to choose from. You can store all sorts of things under your bed without it looking cluttered this way. I would store bedding and out of season clothes in this space. Just look at the amount of space hidden in this bed! One of the things that makes my bedroom look cluttered is all the bottles of toiletries and make up I have. Sit down and go through everything you have. Throw away anything that is over a year old. If you have two or more of the same type of product you can store the spares away until you have finished the first product. I fold all my clothes using the Konmari method which you can read all about in her book. I’ve made a video about organising my wardrobe so you can see it properly here. Every season I also go through my wardrobe and get rid of anything that I’m not wearing and bring the clothes for that season to the front. This saves me rummaging about and making more mess! Jewellery often clutters up my bedroom, it gets left where I take it off until I put it away! But if you get a decent jewellery box you’ll be able to pop your jewellery straight into it when you take it off, meaning it’s not left cluttering up the room! We keep a laundry basket in our bedroom so that as soon as we take our clothes off they can go straight into the basket and aren’t left cluttering up the floor. 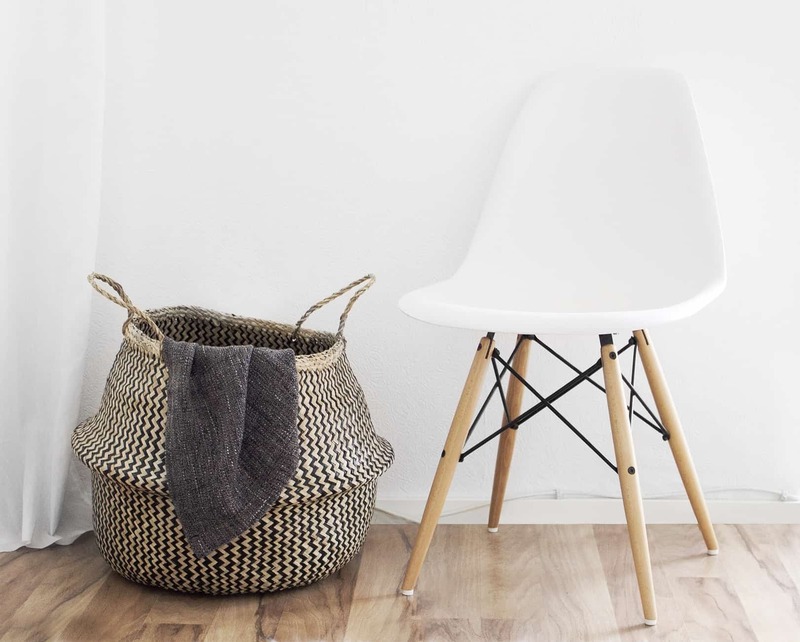 You can get some really stylish looking laundry baskets – ours is a wicker one that looks great in the room. Do you have any top tips for decluttering your bedroom? Is it something you do every now and again? Disclosure – this post is written in collaboration with Bed Guru. All opinions are honest and my own. This post also contains affiliate links. Huge fan of that wood table! Not a fan of popping thing in under the bed. Just don’t like the hassle! Great tips, we definitely need to organise our bedroom its so cluttered atm. We have an ottoman bed which is so handy to have all that space to store things underneath. My makeup and bedside table are what kill me. I always have so much stuff that I swear I need on my bedside table and everytime I get rid of some makeup or products, I end up buying more. I’ll definitely be rearranging and decluttering. My bedroom is a mess right now so I definitely need to streamline my bedroom to make it neater. One thing I can do is streamline my make up so that it takes up less space than it is taking up now! Awesome tips for anyone who wants to have a clutter-free bedroom. I always make sure to clean because I want my bedroom to be relaxing. I get stressed when there’s clutter. I think these are great ways to do that! I also like bedroom very peaceful so I keep everything on the closed shelves or tiny closet. I have almost nothing on display. I find it a best to avoid distractions and minimize the dust. Fantastic tips on decluttering! I seriously need more storage units in my bedroom, especially the mattress set with a hidden compartment. I could not live without my laundry basket and I have used the same one for 10 yrs. The lid is looking worse for wear so I probably have to replace it soon. Saturday will be spring cleaning day in my house and these tips will come in handy. I am working on reducing the clutter with my daughter. It’s not always easy. But I did just get her a bed with storage so I am hoping this will help out some. Although we shall see with all the stuff she had. Should be interesting anyway. I am moving houses in 2 weeks, thinking of everything I need to clutter and organise gives me headaches. Love the idea of storing everything under the bed. Great organizing tips! I love keeping everything in my home clean and organized. Of course I do have a touch of the “OCD” everything has a place and everything stays in its place or immediately gets put back after use!! I love your tips. Wish I can have few time to reduce things in our room. Good luck to me.